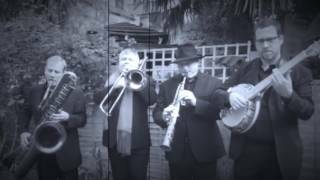 If you’re looking for 1920s Jazz Band Hire London, a Great Gatsby Jazz Band, a Prohibition Band, Roaring 20’s Bands, a Dixieland Jazz Band or a Speakeasy Jazz Band in the London area (They’re all the same thing), we have one of the finest exponents of the music that London has offer you. A superb live band to hire, manned with some of the best musicians around specialising in the genre! Prohibition Party. Great Gatsby Band, Speakeasy style 1920s jazz bands. 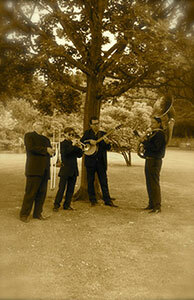 A great band for your prohibition, gangster style themed event. The band have a fantastic range of period tunes such as the Charleston, Five Foot Two Eyes of Blue, Black Bottom, Ain’t She Sweet, Sweet Georgia Brown and Jeepers Creepers. Expect to see the guys resplendent in tuxedos and wing collars. A great Gatsby band for private parties and Corporate music solutions. Gatsby Band, Gatsby Jazz Band. Click on either of these two for more information. Wedding Jazz Band. If you think a 1920’s Jazz Band is perfect for your wedding reception, so do we! Acoustic, mobile and with the ability to immediately move into the marquee if the rain starts! The bride mingles with her guests looking fabulous with a glass of champagne in hand, the sun shines and the jazz band tops everything off with happy infectious sounds playing in the background! And it’s not just London Jazz Hire, We cover the whole of the South East and beyond with these great professional musicians. Corporate Events, Promotions, Ascot, Henley, Wimbledon, Thames Cruises. whatever the event in London this summer, it cannot fail to be enhanced by the addition of the hire of a 1920s Jazz Band. The band really takes your event up a gear, both in looks and sound! With experienced personalities, the band really understand that they are there representing your brand. They know that by looking and sounding good, turning up in plenty of time and interacting with your guests they are adding value to your companies day and your guests experience. 1920’s Jazz Bands have been the accompanyment to fabulous events for many years. It is the natural combination of a portable, acoustic band tht needs no power and can set up anywhere (in a small space if need be) coupled with the wonderful uplifting sounds the band make! If you run a dance club specialising in Jive, Swing or the Lindy Hop style, get in touch. Supplementary information. If you are interested in hiring this wonderful group of musicians, available from a trio up to a six piece, then contact us here or see more information here on our home page. F.A.Q.’s? Click here. 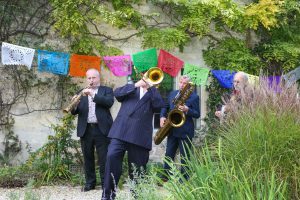 We also offer the following services: Great Gatsby Jazz Band Hire, Speakeasy Jazz click this page Jazz band hire Kent, Jazz band hire Brighton, Jazz Band Hire Oxford, Jazz band Henley, New Orleans Jazz Band hire and New Orleans Funeral Jazz Band hire. We perform for Burlesque Band hire, Cruise ship band hire, London Jazz Band Hire. 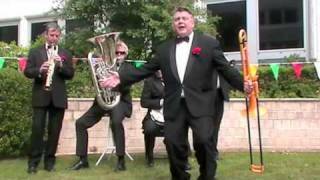 Party Band Hire and Dixieland Jazz Band Hire. 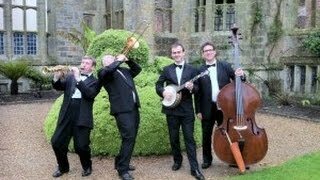 Amongst our other specialities are Prohibition Jazz Band Hire. 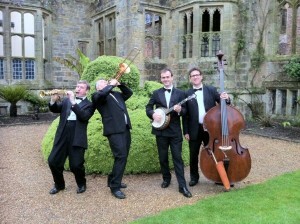 Wedding Jazz Band information can be sourced here And here is some details about Swing Band Hire. If you are a fan of authentic 1920s jazz, click on this link! More info on a Lindy Hop Swing Band can be found here. 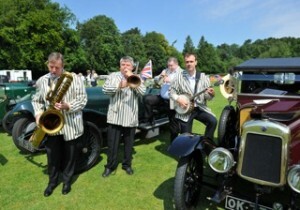 1920’s Jazz Band Hire is available in the London area. It is also for Cambridge Oxford Cotswolds and Essex. We perform in Norfolk, Suffolk, Surrey, Sussex, Bristol, Hants, Herts and Bucks.